Dorian Satoshi Nakamoto, who was the subject of the March 2014 Newsweek cover story “The Face Behind Bitcoin,” is raising money online to fund a lawsuit against the magazine, report several news outlets. CNN Money reports that Nakamoto acknowledges that a number of details in the Newsweek article, written by Leah McGrath Goodman, are correct, including his engineering background and the fact that he once worked for a defense contractor. 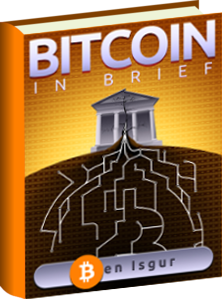 However, Nakamoto maintains that the basic premise about his role in Bitcoin’s creation is completely false. “The article’s conclusion is false. 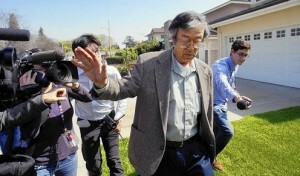 Dorian Nakamoto is not the inventor of Bitcoin. He has never worked on Bitcoin. Newsweek and Leah McGrath Goodman, the article’s author, should have – and may have – known this conclusion was false, or at least highly unlikely. Newsweek’s article terrorized both Dorian and his family, all of them private citizens. The website states that although Newsweek appended a statement Nakatomo issued to the article’s online version, the magazine did not retracted the article, nor did it apologize or compensate Nakamoto and his family. The site includes personal information about Nakamoto and describes the effects the article had on his family. “Dorian suffered a stroke in October 2013. His recovery is ongoing. He is separated from his wife, lives with his 93-year-old mother, and has been unemployed as an engineer for at least ten years. Though he continues to look for work, he is experiencing ‘severe financial distress,’ in his own words, and has significant trouble meeting his basic needs. He cancelled his internet service in 2013 because he couldn’t afford it. Business Insider reports that Nakamoto is not trying to legally defend himself; donated funds go toward his attempt to sue Newsweek over Goodman’s article. Newsweek Lied notes the Bitcoin community has donated approximately $23,000 worth of Bitcoins to Nakamoto for his personal use. “He is extremely grateful for this gesture,” the website says. A couple of news outlets point out the challenges Nakamoto faces in his fight against Newsweek. CNN Money reports that he could have a hard time wining his case, given the extensive free speech protections granted to the media. “The First Amendment and Supreme Court decisions protect the news media in their reporting on matters of public interest, so you really have to show actual malice and disregard for the truth that would be very blatant and very provable,” said Gene Policinski, senior vice president of the First Amendment Center, to CNN Money. “Nakamoto never admitted to creating bitcoin, and the Newsweek story remained sufficiently vague, allowing the publication to argue that their fishing expedition was an effort at exploring a juicy story rather than identifying the actual creator of bitcoin. ‘Standing before me, eyes downcast, appeared to be the father of Bitcoin,’ wrote Leah McGrath Goodman in her Newsweek piece.